Turn your New Year's resolutions into reality with smart décor choices for the year to come. Take a look at the interior trends set to inspire us in 2017. Whether it’s saturated amethyst or ruby, emerald or sapphire, you’re bound to find the shimmer of precious minerals in interiors everywhere this year. 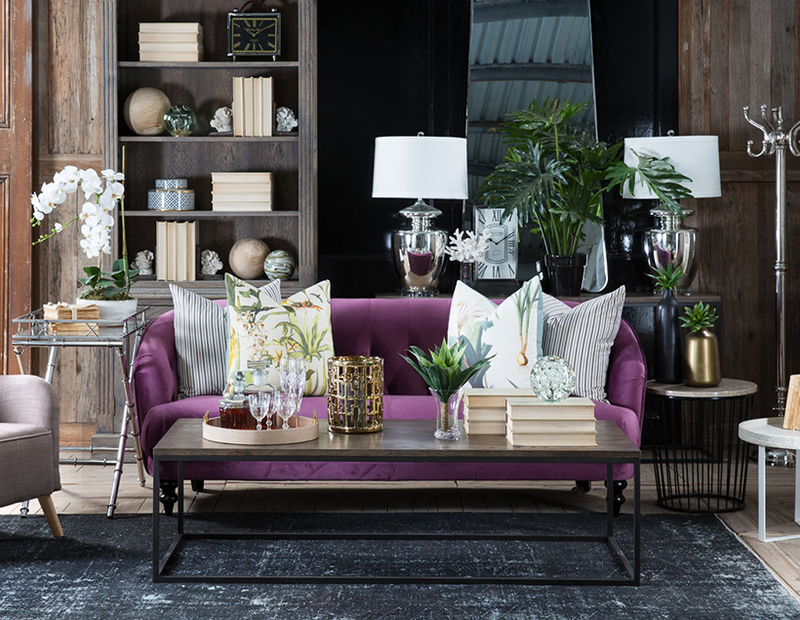 Choose velvet upholstery in our made-to-order sofas to achieve this look. This classic look returns to offer the height of style and luxury. Try a neutral tone in a tufted style for true sophistication in the bedroom. Image credit Right Sue Bond. It’s an outrageous nod to the kitsch and clever, and we’re loving the sense of humour and added textural layer that it brings to a space. Our Betsy Occasional chair is just the piece to add to a room to achieve this look. Whether you’re after a deep, forest green, or something a bit more refreshing, such as Pantone’s Colour of the Year "Greenery", you just can’t go wrong with this colour of revitalisation and life. Italian tiles in geometric shapes offer up a bold yet pleasing backdrop. Use them as a backsplash wall in the kitchen or as your kitchen floor. Add the classic Designed by Sibley Toulouse Kitchen Island to complete the look.